I play Gran Turismo games because they’re like an interactive version of a glossy car brochure. Others, like Dirt, I play for the sensation of barely keeping in control of a car that looks a lot like the one actually parked in my garage. But then there’s F-Zero GX. Released in 2003 for the Nintendo GameCube, it’s my favourite pure racing game of all time. As in, when I want the sensation of trying to drive something faster than someone else, this is the game I go to. Like other F-Zero games, or even other sci-fi racers of its ilk (like Wipeout), you control a futuristic hovercar as you race through fantastic landscapes and borderline absurd visions of future cities. For starters, even 15 years later, it still looks amazing. Packed with pre-rendered cutscenes that propel a “story” and pushing the GameCube’s hardware (which as Resident Evil 4 showed was more powerful than most gave it credit for) to its absolute limits, its visuals trump anything that could even be mustered years later on the supposedly more powerful Wii (or even some PS3 and Xbox 360 launch games). The second? It was made by Sega. 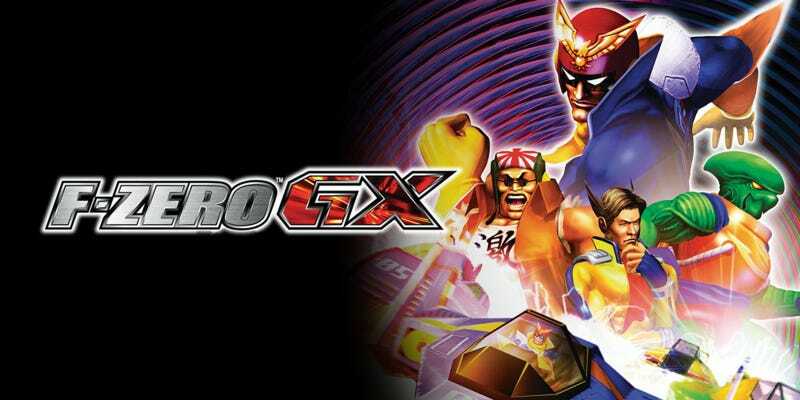 Yes, before Sonic turned up in Smash and a succession of awful Olympics games, F-Zero GX marked one of the first, and most effective partnerships between the former rivals. 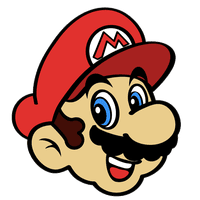 While the game was published and “overseen” by Nintendo, development was handled by Amusement Vision, a spin-off division of Sega (technically a second-party developer at the time) responsible for the Monkey Ball series. This meant that, like Monkey Ball, control was everything. While you can argue that almost every WipeOut game has featured racers that are difficult to really come to grips with, F-Zero GX’s vehicles were sharp, snappy and instantly responsive. Which is lucky, because they needed to be. Rather than simply resort to having the player just race, GX’s story mode often threw these awesome little scenarios at you, like the second chapter’s infamous “boulder race”, a white-knuckled canyon duel that had you not only needing to beat a fast opponent, but juggle avoiding a bottomless ravine on one side of the track while dodging giant boulders rolling across the screen from the other. Sure, it was corny, but that’s part of the appeal for me. This is, as far as driving games go, the ultimate wolf in sheep’s clothing. Because underneath the cartoon cutscenes and ridiculous characters lies one of the slickest, most responsive and challenging racing games ever developed. Bonus: the game was also available outside your house. An arcade version was developed and also released in 2003, only it was called F-Zero AX. While it was mostly the same game, it had a neat feature which allowed arcade gamers to use cards to track their progress, and an even neater one which let GameCube owners bring their memory cards in, put them in the arcade cabinet and unlock content in GX. So sure, Nintendo, give us a Star Fox racing game. But know that deep in our hearts, if a Nintendo console is going to be home to a new sci-fi racing game, there’ll be those of us wishing it was F-Zero instead. This story was originally published in June 2012. It has been updated.